The public is invited to attend the Ground Breaking Ceremony for Phase 3B on August 26, 2013 at 4:00pm. 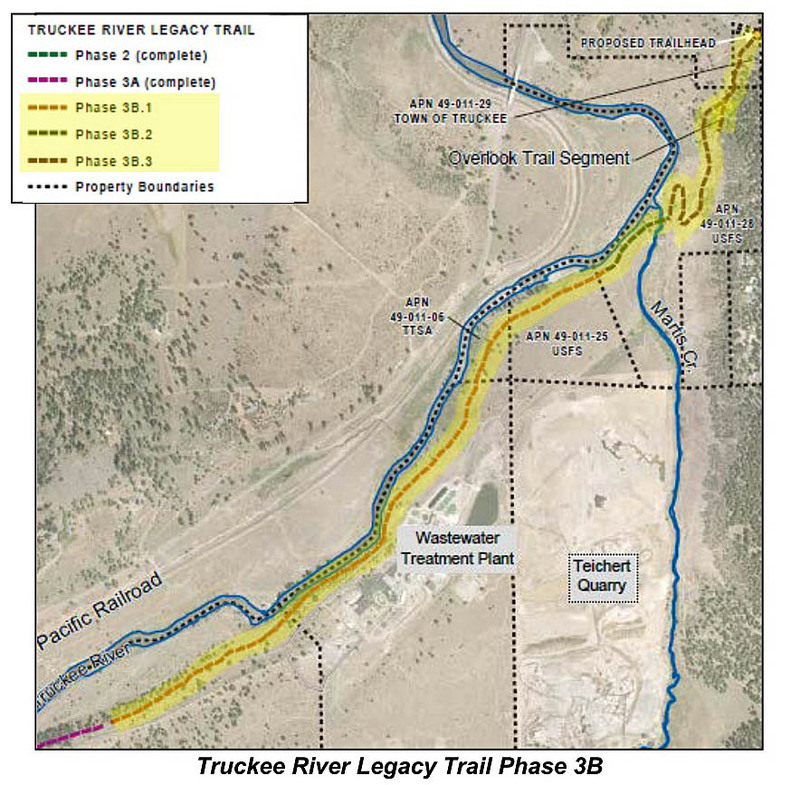 The ceremony will take place at the east end of the Truckee River Legacy Trail. Phase B of the Legacy Trail includes an additional 2.2 miles of paved pedestrian/bicycle trail along the Truckee River towards Glenshire. 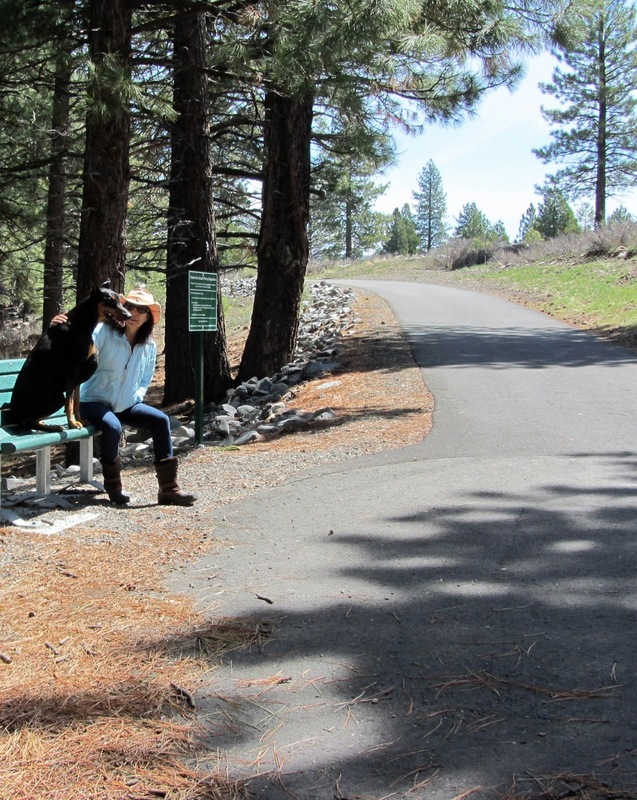 The trail will include a bridge across Martis Creek and a spur trail to an overlook above the Truckee River. Benches and interpretive signage will be placed along the trail as well. Phase 3B will take visitors through a dense forest and open meadows as they travel to the confluence of Martis Creek and the Truckee River. Martis Creek is a small year-round creek that comes out of the bottom of Martis Dam. The Town of Truckee received 2.9 million in funding from the California River Parkway grant program for the extension project. Funds from this grant are collected through the Safe Drinking Water, Water Quality and Supply, Flood Control, River and Coastal Protection Bond Act of 2006.